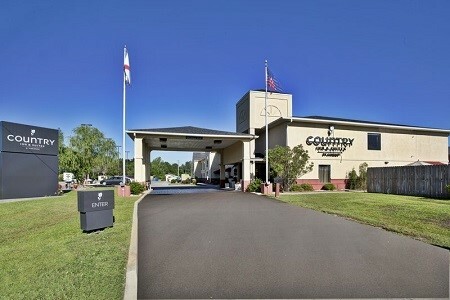 The Country Inn & Suites® by Radisson, Monroeville, AL offers visitors Southern hospitality paired with an excellent location for touring the Literary Capital of Alabama. Discover attractions that inspired Harper Lee's writings, such as the Old Courthouse Museum and the Faulk Property, or spend the afternoon on the water at Claiborne Lake. Corporate visitors appreciate our easy access to nearby businesses like Georgia-Pacific and Harrigan Lumber Company. Surprise your special someone with a romantic stay by booking a Whirlpool Suite. 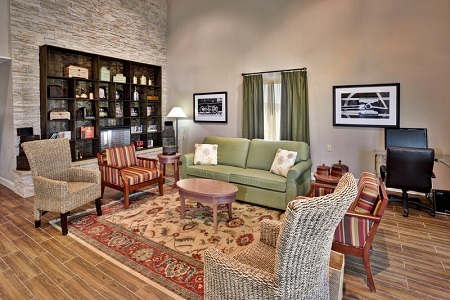 You’ll enjoy extra living space and an in-room whirlpool. 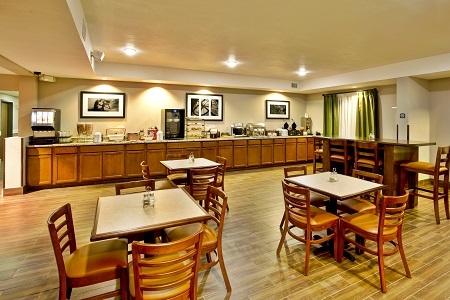 Before rushing off to morning appointments or to tour Monroeville, stop by our free, hot breakfast, offered each morning. Choose hearty items like warm Belgian waffles, eggs and bacon, or opt for lighter fare like fruit and cereal. For lunch and dinner, be sure to visit local restaurants like David’s Catfish House and AJ’s Family Restaurant for mouthwatering Southern fare such as spicy hush puppies, low country boil and fried pickles. Old Courthouse Museum – Just a five-mile drive into downtown, this historic courthouse now functions as both a museum and the stage for the annual theatrical production of To Kill a Mockingbird. Faulk Property – Literature lovers, take note: 10 minutes from the hotel in historic downtown Monroeville, a marker rests at the location of the neighboring childhood homes of Truman Capote and Harper Lee. Claiborne Lake – Whether you want to absorb the natural beauty of Alabama, cool off in the crisp waters or find peace in nature, look no further than Claiborne Lake. A scenic 25-mile drive is all that separates hotel guests from outdoor adventure. 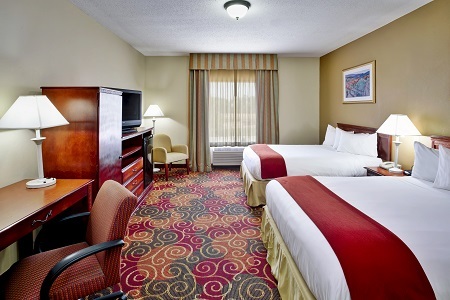 In Monroeville for a business trip or family gathering? 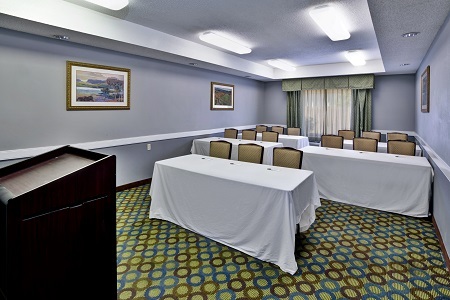 Our hotel provides a versatile space for up to 72 guests to help you organize a successful event. Our meeting room includes audiovisual equipment and free Wi-Fi and can be configured multiple ways to fit the needs of your corporate session, reunion or reception.